That's all from us for today - and for this week. Do join us again at 06:00 on Monday for all the latest developments in the world of business. Have a great weekend! Poundland is definitely fed up with Brexit uncertainty. It has put out a statement asking Parliament to "make a decision" and saying it is considering starting its own party. Pharmaceutical industry leaders want a temporary ban on drugs exports to prevent the NHS being hit by shortages in the event of a no-deal Brexit. The call came from the Association of the British Pharmaceutical Industry. It told the BBC a drop in the value of the pound would create an incentive for wholesalers to sell medicines overseas instead of to the NHS. The Department of Health says it is working closely with the industry to ensure continuity of supply. US stocks ended the final trading day of the first quarter on a strong note, with the S&P 500 registering its best quarterly gain since 2009. Shares were boosted by optimism over trade talks between the US and China, as well as the success of Lyft's first day of trading. At the closing bell, the Dow Jones rose 211.22 points, or 0.82%, to 25,928.6, the S&P 500 gained 18.96 points, or 0.67%, to 2,834.4, and the Nasdaq added 60.16 points, or 0.78%, to 7,729.3. For the quarter, the S&P rose 13.07%, the Dow added 11.15%, and the Nasdaq gained 16.49%. President Donald Trump's top economic adviser has said the White House would like the Federal Reserve to reverse some of its recent interest rate hikes. "I am echoing the president's view," National Economic Council Director Larry Kudlow told CNBC television. "He [Trump] would also like the Fed to cease shrinking its balance sheet, and I concur with that view," Mr Kudlow said. "There's no emergency," he added. "The economy looks fundamentally quite healthy. We just don't want that threat." Mr Trump and the US central bank have had a uneasy relationship. Previous administrations have taken care not to comment on Fed policy, but Mr Trump has railed repeatedly against the rate hikes. But the Fed last week brought that rate-hike cycle to an abrupt end as it abandoned projections for any further increase in borrowing costs. Apple has cancelled its wireless charging mat, citing that it "will not achieve our high standards". The AirPower pad was announced in September 2017 and questions were being raised about when the product might hit the market. “After much effort, we’ve concluded AirPower will not achieve our high standards and we have cancelled the project. We apologize to those customers who were looking forward to this launch. We continue to believe that the future is wireless and are committed to push the wireless experience forward,” said Dan Riccio, Apple’s senior vice president of Hardware Engineering. Techcrunch, which first reported the news, said it is one of several hardware issues, citing delay with bringing AirPods to market. "AirPower, however, has had far more time to marinate in the soup of public opinion since it was announced. Along with recent MacBook keyboard troubles, this has functioned as a sort of flash point over discussion that something isn’t right with Apple’s hardware processes," Techcrunch said..
"I've stayed at many of them," Mr Clooney wrote, "because I hadn't done my homework and didn't know who owned them. Would you use a mobile barber? 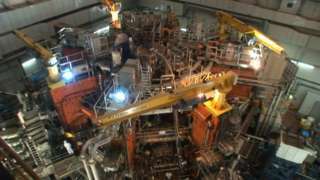 An UK-based nuclear fusion project has secured its future for two years with £92m of EU funding. Should Google, Facebook, Amazon be broken up? US presidential hopeful Elizabeth Warren says she'd consider dismantling the tech giants should she ever get the top job. But is this really necessary, or even possible? So what should be done? Read more here. Preliminary details of the case, which has shocked Russian investigators, have been shared unofficially with BBC Russian by sources close to the investigation. A court case is expected later this year, in which the two students face prosecution. Wall Street stock markets have continued to edge ahead, putting them on track to end the final trading day of the first quarter on a strong note, boosted by optimism over trade talks between the US and China. The two sides have said they made progress on negotiations, which concluded on Friday in Beijing. Washington called the talks "candid and constructive", while the Chinese state news agency reported the two countries discussed "relevant agreement documents". That helped give a boost to share markets around the world, and in New York the Dow Jones is up 0.59% at 25,869.7. The S&P 500 is up 0.43% at 2,827.4, and the Nasdaq is 0.57% ahead at 7,713.2.
Business leaders have weighed in to condemn yet more uncertainty over Britain's trade relations with the EU, following Theresa May's latest Brexit vote defeat in the House of Commons. The latest is Mike Hawes, chief executive of the car manufacturers' body, the SMMT. "Another defeat means more uncertainty, more disruption, and the very real risk that the UK has become uninvestable. "Whether this is revocable depends on the ability of parliament to urgently find a compromise, that will deliver frictionless trade. No deal would doom us to decline." The FTSE 100 closed 0.72% higher at 7,286.3 points, buoyed by a rise in mining stocks which rose on the back of hopes of a US-China trade deal. AstraZeneca, down 5.7%, was the biggest faller after the drug maker struck a deal with a Japanese rival that investors fear could mean the UK firm paying several billion pounds. Back to the US spending data released earlier. "The muted 0.1% rebound in real consumption in January was much weaker than most had expected and provides further evidence that domestic demand over the first quarter of as a whole slowed sharply," said Andrew Hunter, senior US economist at Capital Economics. He also sees little inflationary pressure, with the biggest concern for most officials being that inflation has still not risen up to the 2% target in a sustained way. BlackBerry has reported a profit for the fourth quarter, after making a loss the same time last year. Once the must-have item, Blackberry is now trying to sell software to manage mobiles for companies and governances. “We delivered on all of our fiscal 2019 financial commitments and created a solid foundation for continued profitable revenue growth in fiscal 2020,” said John Chen, chief executive of the Canadian-based company. “I am pleased to note that BlackBerry is recognised as a $1bn-plus revenue company in security software". Net profit was $51m compared with a loss of $10m a year ago. Lyft shares have jumped more than 20% on the first day of trading for the ride-hailing service. On Thursday the company said it sold about 32.5 million shares at $72 a piece. When trading started on Friday they rose to $87.24. Lyft rival Uber is expected to go public before the summer. After another defeat for Theresa May, what now? There's no easy answer, but economist Dean Turner believes a long extension to Article 50 seems likely. Mr Turner, of UBS Global Wealth Management, says: “The third defeat of the Withdrawal Agreement crystallises the UK’s departure date as 12 April. "Before then, we expect MPs to converge on the view that more time will be needed in order to determine the path for Brexit. Therefore, a long extension to Article 50 looks increasingly likely, boosting the chances of a general election. Yet more despair from business after Theresa May's latest defeat in the House of Commons. Says Edwin Morgan, interim director general of the Institute of Directors: “The Brexit merry-go-round continues to spin, but the fun stopped a long time ago. "We are running out of words to express how sick business leaders are of being stuck in this spirit-sapping limbo. The inability to make any decision is doing lasting damage to enterprise." Sterling sank immediately after the result of the latest MPs' Brexit vote was announced, in which Theresa May suffered another defeat. Against the dollar, the pound is now down 0.4% at $1.2995, after having risen in the hours before the vote. 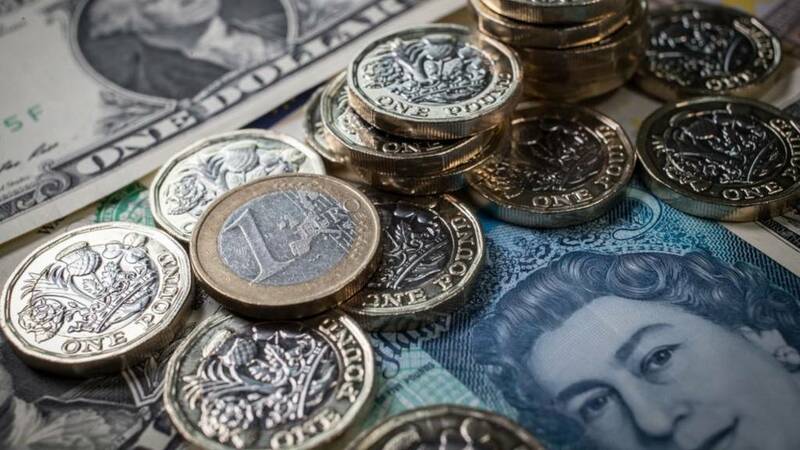 Against the euro, sterling was 0.38% lower at €1.1577.